Why should you believe what I say are proper and problematic pitching mechanics? Because I have a long track record of successfully predicting injuries to pitchers. 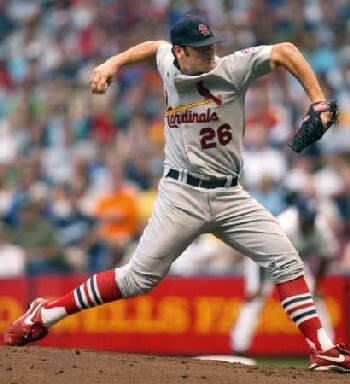 I've been evaluating pitchers and their mechanics since 2006, starting with Mark Prior and Anthony Reyes. Over that time, I have developed and refined a Pitcher Injury Risk Rating Algorithm (PIRRA). I make predictions of pitcher injuries to demonstrate PIRRA's power. The pages above link to predictions I have made previously, some of which I made on my pitching mechanics analyses page and some of which I tweeted @thepainguy. While many of the names I discuss are familiar only to hard-core fans, I have predicted the injuries of a number of prominent pitchers, starting with Henderson Alvarez. I analyzed Jose Fernandez's pitching mechanics at length after tweeting this. The bottom line on Jaime Garcia is that I don't think his elbow problems are a fluke. Like BJ Ryan, I think Jaime Garcia is headed for Tommy John surgery followed a couple of years later by shoulder problems. If I ran the zoo, I would shut Tommy Hanson down for 2011 and pray that he heals during the off-season. I would then convert him to a closer. His timing isn't going to allow him to stay healthy as a starter. Here's a picture of Matt Harvey that shows the timing problem that I am talking about and that concerns me. Given that his front foot is down, his pitching arm should be more vertical. NOTE: I first publicly expressed concerns about Matt Harvey's pitching mechanics on on May 9, 2013 on the Steve Czaban Show (Yahoo Sports Radio). My Matt Harvey comments start at 12:55. Matthew Giles of New York Magazine can confirm the validity of the above quote. Named in my 2014 podcast with Will Leitch. I have written extensively about Mark Prior's pitching mechanics, what actually caused him to break down, and why I think Tom House continues to be part of the problem, not the solution. This position isn't damaging in and of itself. 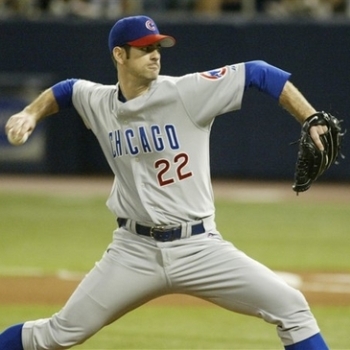 However, by coming to this position, Mark Prior is ensuring that his PAS arm will not be in the proper position at the moment his shoulders start to turn. As with pitchers with other timing problems like rushing, because his arm is so late, he will dramatically increase the stress on both his elbow and shoulder. I know a lot of people are extremely high on Anthony Reyes. However, I believe that I see a flaw in his mechanics that may very well make him the Cardinals' Mark Prior (and that's not a good thing). By that I mean a pitcher who shows tons of promise but ends up with continual injury problems. I am glad that my St. Louis Cardinals (finally) traded Anthony Reyes to the Cleveland Indians. I would be surprised if the Indians get significant value out of this trade due to Anthony Reyes' Inverted W and resulting timing problem. BJ Ryan is currently on the Disabled List due to Tommy John surgery. This is due to BJ Ryan's extremely poor pitching mechanics...BJ Ryan may have the worst arm action and timing I have ever seen, even worse than Chris Carpenter, Mark Prior, or Kerry Wood...The problem is that, like Chris Carpenter and Kerry Wood, BJ Ryan has a major Inverted L in his arm action. You can see BJ Ryan's Inverted L at Frame 21 of the clip above. This completely destroys his timing and is the root cause of his elbow problems. It will also set him up for Rotator Cuff and Labrum problems in a year or two. There is no question that Johan Santana has been very successful to date. However, due to his borderline mechanics I question whether Johan Santana will be able to continue that level of success. I think Johan Santana could easily give the Mets the same heartache that Pedro Martinez and El Duque have. I have written extensively about Stephen Strasburg's pitching mechanics, both beforehand to express my concerns and afterwards to explain what happened. I have made a large number of predictions, some of which haven't come true. In some cases, and particularly for relievers, my answer to why those predictions haven't come true is, "Just wait." However, in other cases, I have missed something and have had to update my algorithm as result. I still like the majority of Cliff Lee's pitching mechanics. That is because he lasted 13 years and, while he currently isn't playing, he hasn't needed Tommy John Surgery. And he plays for the Phillies. So what's going on with his forearm? As you may know, I am not a fan of the cue "Point the ball at second base" or "Show the ball to center field" in kids because I believe it significantly increases the risk of elbow problems. I have video of Cliff Lee from his time in both Seattle and Philadelphia where his Premature Pronation isn't as prominent. However, the more high-quality images I accumulate, the more evidence I see that Cliff Lee has a problem with Premature Pronation. In my opinion, that is what's causing his forearm, and perhaps elbow, problems. I used to think this was just an issue in kids, because I had never seen it (obviously) cause problems in adults. That's why I didn't take more seriously the (at the time) few pictures of Cliff Lee exhibiting Premature Premature pronation that I had. However, Cliff Lee's problems, while not necessarily severe, let me to take a much closer look at the problem of Premature Pronation and led to my correct predictions about Jose Fernandez. 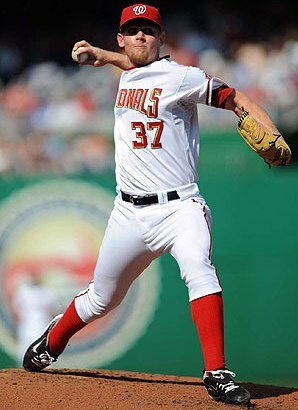 I still think pitchers should copy Cliff Lee's pitching mechanics, but not that twist in the wrist of his pitching arm. The simplest way to sum up what, in my opinion, is going on with Michael Wacha is this. He's a different pitcher than he was in college. As I discuss in detail in my piece on Michael Wacha's pitching mechanics, in college Michael Wacha was a low-90s guy who topped out at 94. As a pro, Michael Wacha is throwing significantly harder, sometimes with an average fastball velocity above 95 mph. As with many pitchers (e.g. Noah Syndergaard, Matt Harvey, and Aaron Nola), as Michael Wacha's velocity goes up, so too does the load on his arm and his risk. While they are hardly clean, they both employ a trick to give their arms time to catch back up with their bodies. Max Scherzer is also apparently aware of my concerns about his arm action and actively works to make sure that his elbow lift doesn't cause him problems. 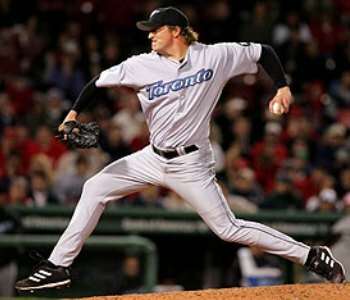 Chris O'Leary never played baseball beyond grade school due to a shoulder injury suffered due to poor pitching mechanics. As a result, he is focused on ensuring that what happened to him doesn't happen to anybody else. The Epidemic is one way he hopes to achieve that goal.